I spent 7 months in PT somewhere else and never got any relief. A few weeks after coming here and my pain is gone! This is the best I have felt in nearly a year! Thanks Marc!! Marc and his staff are awesome. I was sent to JCPT for PT on my Achilles Tendon, I just knew that I would eventually have to have surgery. But after 2 months of PT at JCPT, no surgery was needed. Their staff is very knowledgeable and very professional. I would highly recommend JCPT. I met Marc Stewart at a back pain workshop that he held. After speaking to him I began therapy the following week. I’d had back surgery three years prior and was having new pain. After my latest MRI I knew there was scar tissue. Marc helped with manipulating my sacrum and building my core muscles through a course of PT. My back pain is gone and I feel so much better. The people that work there are warm, welcoming, and friendly. I will miss seeing them! The first time I went to Johns Creek Physical Therapy to help me with low back pain from arthritis. The care and patience with me was exceptional. I worked with Marc, the owner. They provided a relaxed atmosphere that is extremely friendly, accommodating and professional. They do not rush through sessions and take their time with your treatments. I am back at JCPT for low back and neck pain. I got an appt. quickly and started treatment right away. It took about 5-6 sessions with Archna, Physical Therapist to relieve some of the pain in my neck and I was able to turn my head again right and left which was awesome. If you need physical therapy give them a try, you will be glad you did. 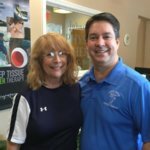 Was referred here by Resurgens Orthopaedics… So glad I was! Marc Stewart and staff are very accommodating, caring and knowledgeable! I have bragged on this place ever since my first visit! So thankful to be their patient! I am grateful for Johns Creek Physical Therapy! 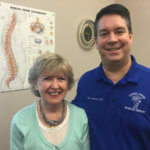 Waking up in severe pain from a pinched nerve in my neck, my husband called Johns Creek Physical Therapy and they arranged a time for me to see the Physical Therapist, Marc, that very day. His treatment at that first appointment gave me some significant relief from pain and his continued treatment thereafter has improved my condition significantly. I will definitely recommend Johns Creek Physical Therapy to family and friends who need an excellent and knowledgeable physical therapist! The best experience ever in physical therapy. The staff was kind, sensitive, and professional, and those waiting to be serviced were dealt with in timely manners. The environment was always clean, neat and comfortable, and I would go to no other place than here for any other further care. Marc Stewart and the staff at Johns Creek Physical Therapy are outstanding! Their warmth and genuine concern were much appreciated and made for a comfortable and productive experience. I would not hesitate to return for additional therapy if necessary in the future, and I will certainly recommend their facility to anyone in need of their expertise. 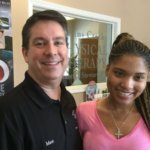 I attended Marc Stewart, PT/Owner’s FREE Sciatica and Lower Back Pain Workshop and found him to be informative/educational. Several months later I went to them for Back Pain and Numbness. They were very through in assessing my problem, then having me do traction, teaching me the correct PT exercises to improve/build my core, as well as various adjustments, massages, and Light Force Laser Therapy. The facility was always clean and the staff very pleasant. I’m not sure where to start, but the entire team is OUTSTANDING. From my first visit, I felt comfortable and welcomed. Each team member is professional, knowledgeable and genuinely wants to know how you’re feeling. I’ve had a few tough love moments where I was instructed not to continue running. Although I was anxious to hit the pavement again, I knew the recommendation was made in my best interest. Over the last decade + Marc and his staff have helped get me back on track on at least 5 different occasions. The most amazing was when they helped me worked up to complete a marathon less than a year after a devastating ankle break. They balance the right amount of push with empathy. Everything is very personalized and the staff helps keep it fun. Hope I don’t need to go back, but I wouldn’t hesitate when needed. The first time I arrived for my appointment I was impressed by the facility and the friendliness of the front desk. When I met Marc I was happy to see that I wasn’t just another hour to him. He was very professional and concerned about my condition, a bad knee. He came up with a plan of action to improve my condition and got me started. The physical therapists that I worked with were top notch and very approachable. They actually made my therapy enjoyable and fun. With their help, my knee improved considerable. I would not hesitate to suggest Johns Creek Physical Therapy to anyone. My experience with JCPT was nothing short of outstanding. Marc and his stuff are all courteous, professional, and really focused on helping their patients. I had a painful condition that had persisted for months and the treatment I received at JCPT made a tremendous improvement. After being hampered with a strained Achilles for weeks, I was referred to Johns Creek Physical Therapy by my physician. Within three sessions I gained noticeable improvement. Then a plateau with no progress. Here’s what impressed me most of all: JCPT completely changed strategies for my treatment. Suddenly I was once again on the mend, this time heading towards complete recovery. Each session included lots of attention from every staff member present, with almost no waiting between exercises. Even when I would show up ten minutes early, they’d get me started right away. I was kept busy the full hour and certainly received maximum benefit from each appointment. I am so incredibly happy that I found Johns Creek Physical Therapy, not only are they truly great at what they do but everyone in so kind and friendly. I have tried other physical therapy clinics in the past for knee pain from a sports related injury, Marc has been the only one to look deeper than just my pain to really find the problem and a lasting solution. I am so grateful to everyone at Johns Creek PT for the incredible care I received. Being 69 years old and leading a sedentary kind of life in front of my computer most of the day, I recently developed a shoulder pain which bothered me greatly. A sudden pain would occur when I reached out of pick up something or made a causual move that went a little over the limit. I picked up Johns Creek PT because they are closest to me and I am so glad I made the right decision. Marc the owner/Theraphist evaluated me carefully and said he can do something to “make you feel better in six to eight weeks”, which now I know is an understatement. The therapy consists of all kinds of streches, muscle training, and massages, and they changed the conbination of the exercises with the progress. After only seven successions of therapy I am feeling night and day better than when I started! There is no more pain when I lift and turn my arms around. I have to stop the treatment way before schedule due to conflict of time arrangement, but I will keep doing some of the movements I learnt at home just as maintenance. Thank you Marc, Laura, Noah and staff! I considered other physical therapy clinics before choosing Johns Creek PT. I selected JCPT because of their rating as the 2108 Best PT Practice in North Atlanta and I have not been disappointed. Marc Stewart owns JCPT and he and Archana Jayan are the therapists. Archana performed my initial evaluation, quickly determined the root of my problem, and prepared a program for my rehabilitation. Archana is kind, friendly, compassionate, and competent. Marc has also attended me with great skill and concern for my complete recovery. Marc is kind, funny, and committed to excellence. He has the latest technology including deep tissue laser. Marc and Archana are supported by helpful and competent technicians: Laura, Noah, and Shirlette. The facility is bright and clean; tables are cleaned between each patient. Marc has put together a team who is committed to excellence and to the complete recovery of their patients. Although I haven’t had a chance to take advantage of it, I appreciate that Marc provides education for the community on various topics pertinent to physical therapy. I’m very happy that I chose JCPT. I would highly recommend Johns Creek Physical Therapy. Archana is a really great physical therapist. She is very helpful in getting my back to work. In short she is very friendly ,knowledgeable and skilled that helped me get better soon. Very pleased with my healing progress. Marc and his staff are excellent. Marc Stewart and the staff at Johns Creek Physical Therapy deliver a very high level of professional care. 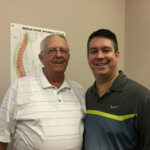 After shoulder replacement I began physical therapy with Marc and the staff. After sixteen weeks of therapy, I feel fully recovered and no longer require visits to the facility. I will continue to recommend Johns Creek Physical Therapy. They are the best! 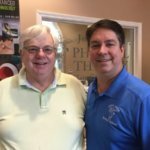 I am so grateful that my friend recommended Marc Stewart and Johns Creek Physical Therapy. The outstanding care and attention that I received there is everything I was looking for! I am a very active person but I was experiencing gnawing knee and upper leg pain which was limiting my ability to walk properly, drive, sit for long periods of time, use the stairs, etc. During my evaluation, I found Marc to be very knowledgeable, respectful, caring, a good listener and enjoyable to talk to. He spent a great deal of time looking for the root cause of my pain. After diagnosing my problem and explaining it to me, Marc created an exercise routine to help with flexibility, strengthening and stretching. Marc and his assistant, Denise, patiently guided me through the proper plan to achieve my goals. I use this routine every morning after breakfast and it helps me a great deal. Denise has also been instrumental in the success of my improvement. She is attentive, caring, and very easy to work with. She always asks me how I am feeling when I come for my therapy session. Making an appointment is easy and the staff at the front desk is very helpful with your insurance. There is much more I could add, like the great atmosphere, easy parking, friendly environment, etc., but you might stop reading – LOL. Most importantly, Marc and his team helped me with my problem. Overall, I couldn’t be happier with my experience at John’s Creek Physical Therapy. I would highly recommend them to anyone to come and experience the great care they offer. Caring, kindness and concern for your well-being and treatment is what you can expect from all of the staff at Johns Creek Physical Therapy. Owner Marc Stewart has a top-notch facility that is immaculate, and filled with the latest equipment including deep tissue laser therapy. Over the course of my treatment I’ve worked with all of the therapists and they are universally friendly and encouraging and caring. After several treatments Marc identified some concerns about my injury and recommended additional actions to my orthopedic doctor, which were followed, greatly improving my situation. On the insurance side Marc’s front office team handled all of my submittals. Don’t hesitate to go to Johns Creek Physical Therapy, and you will be feeling better soon. Excellent treatment for the SI problem I experienced. After 5 treatments I was 99% pain free. Thanks to Marc and staff for personalized attention and instruction. If you are in pain, do yourself a favor and give Marc and his staff the opportunity to help you recover. This is an incredibly well organized and equipped PT practice. They employ the latest techniques and technology and that accelerated my recovery. The surgeon who did my shoulder surgery was amazed at the progress I made after only a few sessions. The clinical staff is very knowledgeable and professional in every regard. They are constantly attentive to individual details. Each of them became familiar with my case and participated in my therapy. The atmosphere is welcoming and friendly — after a couple of visits, you feel like you’re one of the family. Their front office staff is absolutely exceptional. They work through very confusing insurance details and take that burden off the patient. I’ve already recommended Johns Creek Physical Therapy to several people and I will continue to do so. Great and knowledgeable staff. Very efficient with their treatments. Firm respects your appointment times. Makes pain management and treatment an enjoyable experience! “The Way Therapy Should Be.” That pretty much sums up Johns Creek Physical Therapy. Best PT experience I have ever had. Worked with Marc mostly, but sometimes Noah, sometimes Josh. All are top notch. Marc always knew exactly my issues, the status of my recovery, and was always reassessing and addressing and tailoring everything to exactly my needs. I 100% believe I got better faster and more fully than had I gone anywhere else, not that I would ever again. I have never received PT so suited to ME. Plus, I never had to wait more than 5m, was never oversold or overcharged and was never treated less than a very respected and valued person whose best interest and health were Marc’s top priority. Absolutely, JC PT is therapy as it should be…Bravo, Marc & Co and THANK YOU!!!! I went to Johns Creek PT center for two months. The facility is no doubt clean and well equipped. I had a weak legs post surgery. Marc and Mona worked thru my sessions and got me back on my feet. Marc is very knowledgeable and kind person to work with. I would definitely recommend John’s Creek Physical Therapy. If you’re in need of superb physical therapy for any musculoskeletal problem like low back, shoulder, knee or any body part pain, look no further. 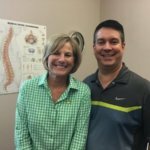 Johns Creek Physical Therapy has the experience, top customer service, easy availability, they take most insurances and are very well equipped within a pleasant atmosphere. They may be the only PT group in the area that own a laser for eliminating pain and swelling very effectively. But most of all you will appreciate the close attention they pay to individualized personal care with sincere compassion.Enjoy! Have been to this facility for lower back pain. Marc is very precise in treatment and provided me a very good recovery plan. I am feeling much more relaxed from the pain soon after the second session, and continued to improved thereafter. All his staff are passionate in helping me during the treatment sessions. I feel more comfortable in their clean environment. Definitely recommend Johns Creek Physical Therapy if you are looking for experience and excellent customer service. Thank you Marc and your staff. I have been a patient of Marc’s for two months. He and his staff are always very upbeat and energetic. I love working with Marc he is very precise and informative. The clinic is always very clean and bright. I would recommend Marc and Johns Creek Physical Therapy to anyone. Thanks for all you do! Have seen Marc for therapy post knee surgery, shoulder surgery, shoulder replacement (twice) and torn hamstrings. And, Achilles repair. Better than full recoveries every time, and avoided surgery more than a few times with his help, too. Marc thinks about everything, he’s involved 2000% in every aspect, and he makes it fun. Hugely fantastic staff, never a dull moment or late even. Makes going to PT a good part of day – and makes this Raggedy Ann feel more bionic than old and patched up. Clean (I always see them wipe down tables, clean equipment and change pillows), bright and open spaces (not stuffy at all or dreary), timely, professional, genuinely caring. And my bills have always been reasonable (over the years, there have been times I have been responsible for paying out pocket, and the bills were always straight forward and very fair. I think that speaks volumes for Marc as a person.). Love this place! Recommend as best of best of best. Of best. Great and clean facility. Loved Marc and the staff. Completely professional and helpful. I give Johns Creek Physical Therapy 5 stars. After 20 years of lower back pain working as a long haul international pilot, I had learned to try and just manage my back pain. I had assumed after talking to other pilots with similar issues and during doctor visit I had a ruptured disc and was just putting off the inevitable back surgery. My most recent doctor decided on an MRI and it was discovered I had no damage to any of my discs. 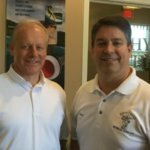 My doctor referred me to Johns Creek Physical Therapy and after only several visits – Marc Stewart was able to alleviate all of my back pain naturally using daily stretching routines and providing me techniques I can use in the cockpit whenever my lower back discomfort occurs. All of this therapy is using stretching only and required no special equipment or any medications. It is 100% Natural and easy to do everyday. My original expectations were to have some pain relief but a long healing process. I was unable to stand or walk, let alone run, without considerable pain. Two weeks later I am pain free and ready to return to all of my athletic endeavors. What an incredible breakthrough in treatment of injuries where blood flow is limited. I am forever grateful and will recommend this to all! I came to Johns Creek Physical Therapy four days after total knee replacement. Marc and his staff worked with me for eight weeks, seeing me through every aspect of my knee recovery. 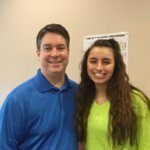 Marc and his staff at Johns Creek Physical Therapy are friendly and professional. Marc always made me work hard. The humor he added while pushing me made it a little easier. His knowledge of physical therapy was evident. He always explained what was going on with my knee and what we needed to work on to get my knee to where it needed to be. Kate, Laura, and the rest of the staff were always eager to assist me with my therapy and fun to work with.I’m not saying it wasn’t hard, and yes, painful at times, but I can now enjoy long walks and daily life without pain. I also want to give a thumbs up to the laser therapy Marc introduced me to after a few sessions. I went from not being able to complete a full cycle on the recubant bike to actually making it go completely around. That might sound like a very small accomplishment but it was a milestone for me. I can now hop on and pedal and pedal without pain. I can’t wait to go bike riding with my family. Thank you Johns Creek Physical Therapy for making my journey a wonderful experience. The first day I came to physical therapy was day after total knee replacement. I was using a walker and could barely put weight on my knee. Now I am eight weeks after surgery and can walk without limp or cane. My range of motion is good and knee pain is getting better every day. Everyone at Johns Creek Physical Therapy was professional and kind. They were all helpful in getting me back to my normal active life as quickly as possible. I had signed up for Marc Stewart Free Workshop. Instead I made an appointment for a consultation with Marc Stewart. After talking with Marc about my back pain and burning sensation in my legs, he advisesd me that he could help me. I made an appointment the following week. I saw some improvement from my first visit. The burning sensation in my legs was less and no pain in my leg. I have had 7 sessions now and I have seen a great improvement in my flexibility and mobility and no more back pain. Marc and the staff here are great. They are friendly and want to help me to get better. I still have a way to go, but I have faith in Marc and his staff. They also help with your insurance. I am so pleased that I saw the ad in the paper for the free workshop on Lower Back Pain and Sciatica. I have suffered with low back pain for years. A recent episode of severe and debilitating pain really scared me. I am a very independent and active person and I needed to figure out how to I could prevent these episodes. The workshop put me on a new trajectory for effectively managing my sciatica and low back pain. I feel so much more confident and hopeful that the exercises Marc Stewart taught me will help me manage my back pain. I am back doing everything I want to do. I am so happy. I am 95% better I was before I started at Johns Creek PT. Marc, Thank you for all you did and education. Your expertise and for making such a huge difference in my functionality. I have utilized JCPT on three separate occasions requiring rehab therapy after hip surgery, shoulder surgery, and spinal and muscular issues. On each occasion, JCPT carefully evaluated my conditions and designed therapy programs to aid the healing process and return the maximum as possible flexibility and strength to those affected areas. I have been extremely satisfied with the results and successes of my therapy and credit it with my being able to return to previous activities, such as golf, without the prior pains associated with those activities, that I enjoyed prior to the surgeries and therapy. The entire staff, from admin to all of the therapists are friendly, knowledgeable, caring, and, importantly, hands on and attentive to your progress to assure success and positive results. I would highly recommend JCPT to anyone requiring physical therapy. I came to JCPT with difficulty and pain walking on my left foot. Marc and his team quickly diagnosed the root cause of the pain and developed a treatment plan. The treatment worked well and I saw continuous improvement over the course of the treatment. I finished in great shape and would recommend Marc and team to anyone requiring physical therapy. Great place to go for therapy. My experience was amazing the staff and the doctor was out of this world good. The customer service was amazing which makes you want to have therapy there. Marc works with you to help you get better and better. It was no pressure at all. I will definitely come back and recommend everyone I know to come here. When I first came here I had really bad knee pain; I could not bend down or run without my knee hurting. After a few sessions the pain was almost gone and by the end of the treatment, the pain had disappeared. Thanks Kate and Marc!! You Guys are Awesome. I came to PT at Johns Creek Physical Therapy. I could not ride in the car without extreme pain in my right leg. Eight trips to PT and its Gone. When I arrived on Tuesday I was in critical pain and could not move my neck Just in 3 visits I am 95% better and able to move with little to no pain. Marc and his team did an excelled job helping me recover. Everyone at Johns Creek PT is very caring and helpful. I will definitely be back if I have any further issues and be happy to recommend others. My experience here was top notch. Marc and his team are great. I asked my PCP for a referral to JC PT based on verbal recommendations from other patients. I found Marc to be very personable and I felt very comfortable with the consultation. He was able to target the source of my pain and explain clearly what was going on and how we would proceed. The facility is very clean, well lit and organized. The front desk staff is friendly and had all of the paperwork I needed to sign ready to go. I would recommend Johns Creek Physical Therapy to my family and friends. Marc and his staff are professional and pay attention to detail. I will definitely be back!! Marc and his staff are friendly and courteous and provide excellent care. Marc is a great PT. He made my knee feel good as new. I would recommend him without hesitation. Excellent PT facility….probably the best I have been too. The staff is great and Marc himself pays attention to each patient. They try to limit the # of patients at one point of time so that individual PT treatment can be conducted efficiently. I fractured my heel and was non-weight bearing for 12 weeks. Being new to the area, I found Johns Creek Physical Therapy thru an internet search. Marc Stewart is knowledgeable, and thorough. He left no stone un-turned in suggesting ways to improve/support my therapy. I was under his care for 5 months and never once felt like a ‘number’. I began on a walker and left hopping over the stepper! I can personally compare Marc’s practice to a large physical therapy chain: I left for the month of December to visit family for the holidays and had physical therapy with a large physical therapy chain. I never felt like they were vested in me – in fact, I came back with with less range of motion. Marc has always shown compassion, listened to my concerns and helped my get back to pre-injury shape. I highly recommend Johns Creek Physical Therapy! I’ve been to a lot of PT places through out the years and Johns Creek PT is the best I’ve been to. Marc and his staff are top-notch. The office is not overcrowded with patients and Physical Therapists. It was exactly what I was looking for in a Physical Therapy office to help me with my condition. Had a great experience. The staff and doctor are very knowledgeable and nice. Great place to go. My experience was amazing, the staff the Doctor were out of this world. If you have any therapy needs please go to Johns Creek Physical Therapy it’s the best ever. I had a great experience at Johns Creek PT both times I have been. Marc and his team are very professional and knowledgeable. I have gone for two different issues and both have been resolved completely. Laser Treatment at Johns Creek Physical Therapy. This has been a total GAME CHANGER for me and my recovery process! It’s not just a need it’s a MUST HAVE! Love it!